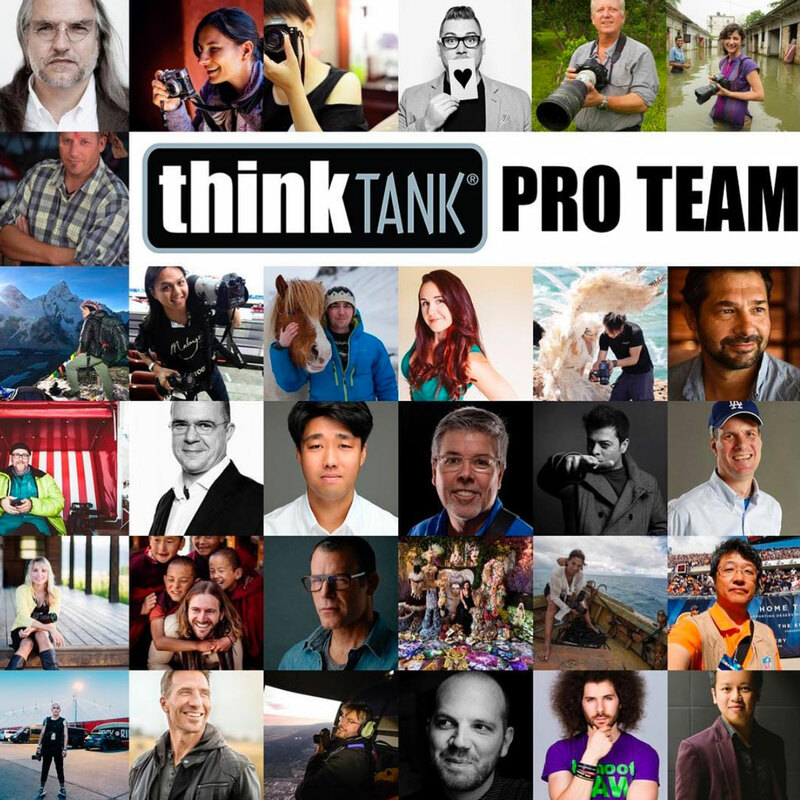 Think Tank Photo has launched a 31-member Pro Team. A first for the company, the Pro Team is comprised of a group of renowned photographers and industry leaders from around the globe, who are being recognized for their support and brand advocacy of Think Tank Photo bags and backpacks and other gear. Here’s the lineup, and among them are professionals Digital Photo Pro has had the pleasure to profile, including Tamera Lackey, Vincent Laforet, Tyler Stableford and Ami Vitale. As brand ambassadors, these professionals will continue to test Think Tank Photo gear. Learn more about the Pro Team. Santa Rosa, Calif. – In recognition of their years of support and brand advocacy, Think Tank Photo welcomed 31 renowned photographers onto its first Pro Team. As the choice of working professional photographers, Think Tank Photo’s camera bags and accessories have a large and loyal following around the world, especially among professional photographers. The Think Tank Pro Team is featured at www.thinktankphoto.com/proteam and includes social media contact info as well as examples of their work. inventive new carrying solutions that meet their needs. They are dedicated to using only the highest quality materials and design principles, and employing materials that are environmentally benign.